We’re giving thanks this November for all of our amazing customers. We’re so appreciative of everyone who’s sold their textbooks and supported Cash4Books. 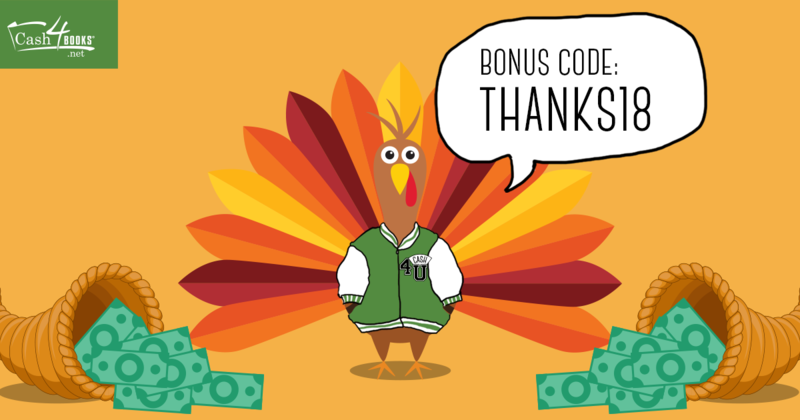 Use our November code, THANKS18, and get an extra 18 percent cash added to your order. Now, go get that cash and all the delicious turkey, cranberry sauce, and mashed potatoes you can eat! This entry was posted in Cash4Books News & Updates and tagged bonus code, Cash4Books News & Updates, make money, sell textbooks on November 2, 2016 by Jim McKenzie Smith. Making money is easier than ever! Need extra cash in your pocket? Make money from the comfort of home. 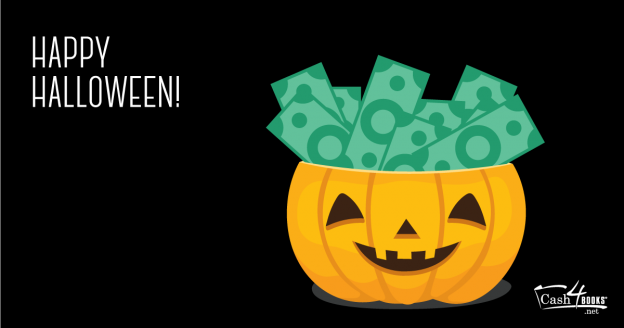 We’ve put together the ultimate list of moneymaking endeavors, all starting online. This entry was posted in Making Extra Money and tagged Cash4Books News & Updates, college students, make money, money on September 28, 2016 by Jim McKenzie Smith. Life is hectic and busy — college makes it all the more crazy. With so much going on, it’s difficult to keep track of everything you need to do. Take out the trash, turn in that essay, pay those bills! 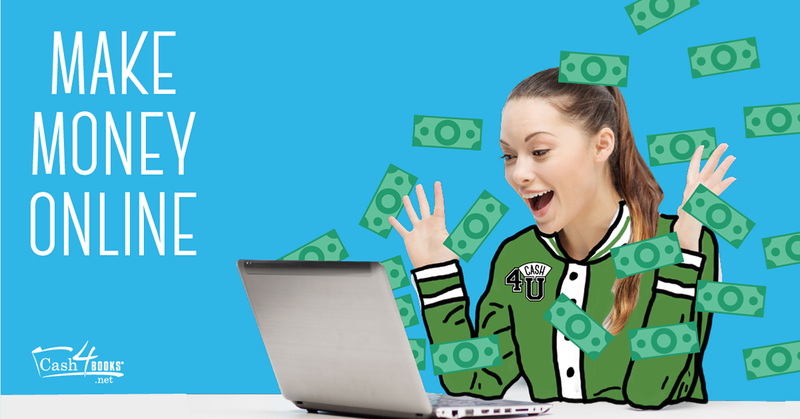 Here at Cash4Books, we’re always searching for ways to make things easier for you, so we’ve made selling your textbooks and snagging extra cash even simpler! 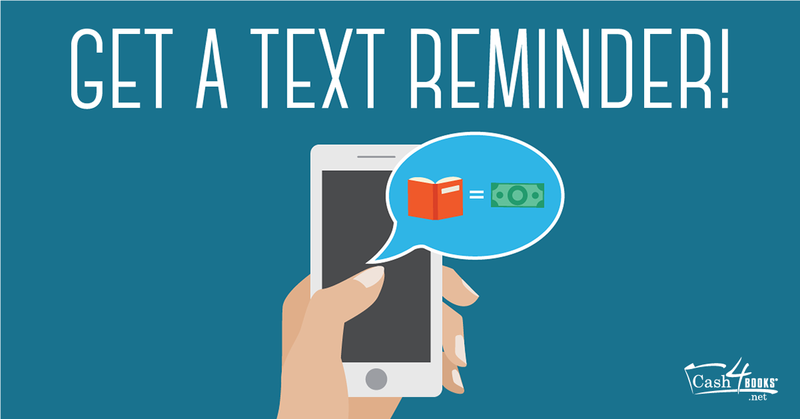 Now, when you’re selling your textbooks online at Cash4Books, you can choose to get a text or email reminder to sell your books later. That means you can find out roughly how much your books are worth at the start of the semester, and then you can literally forget about it! When you set up a reminder, you can choose when and how you want to be reminded. Want an email after finals week? We can do that. Want a text message in October? We’ve got you! This entry was posted in Sell Stuff For Cash and tagged books, Cash4Books News & Updates, make money, Save money, sell textbooks, textbooks on September 14, 2016 by Jim McKenzie Smith. September has arrived, which means it’s time to head back to school. 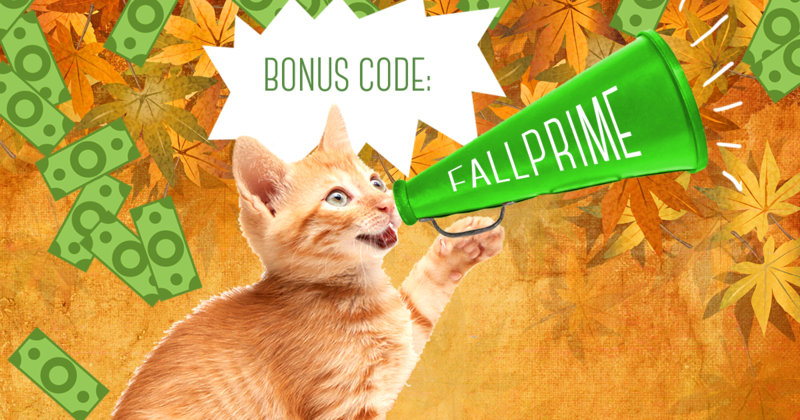 Snag extra cash for all your college expenses with our September bonus code. Need more encouragement? We’re giving away a year’s subscription to Amazon Prime to one lucky winner. From free two-day shipping to free video streaming, an Amazon Prime membership is sure to make your school year amazing! This entry was posted in Cash4Books News & Updates and tagged app, bonus code, books, Cash4Books News & Updates, college students, make money, prime, Save money, sell books, textbooks on September 7, 2016 by Jim McKenzie Smith.